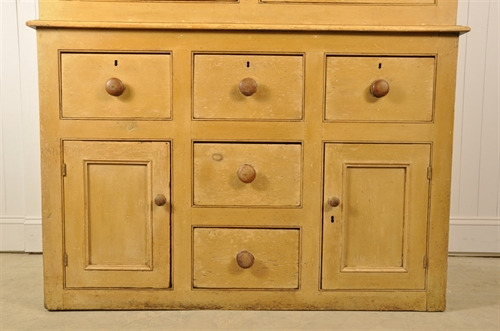 It is difficult not getting excited about everything - but this really is an interesting piece for us. 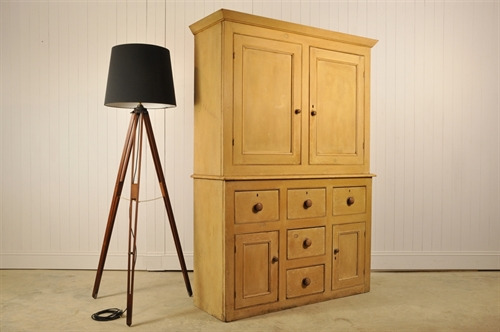 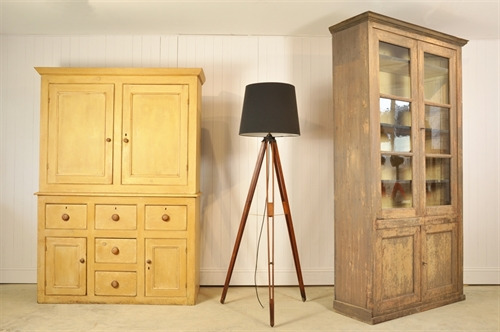 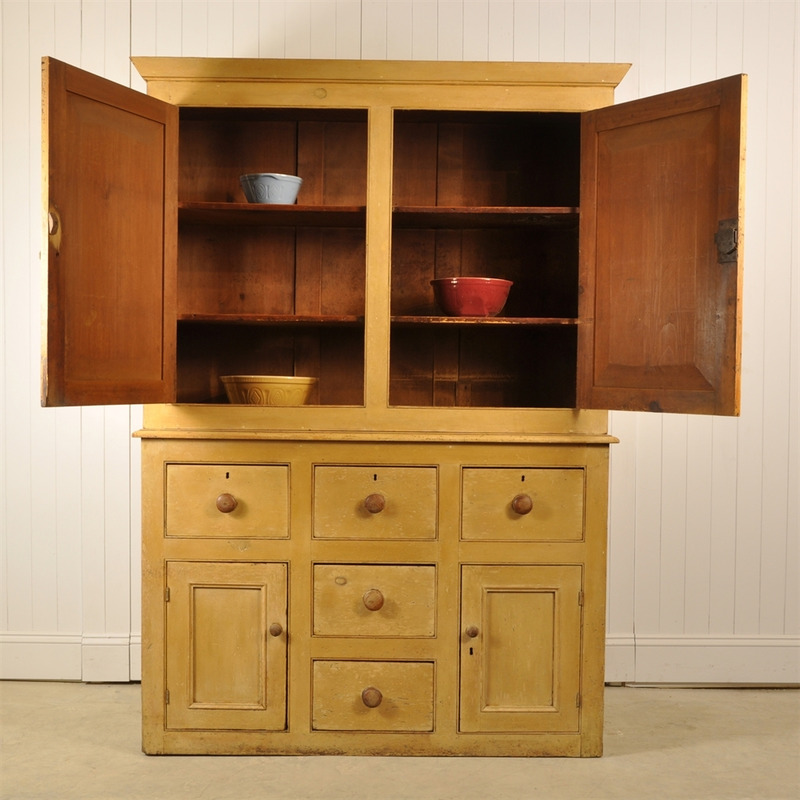 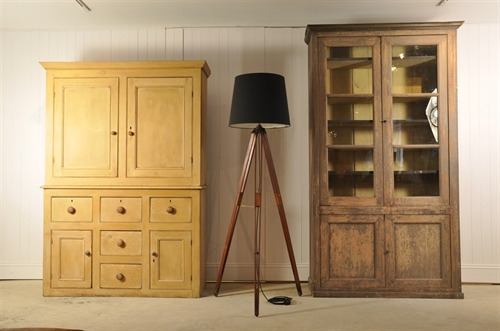 Really nice to have an English early 19th century cupboard. 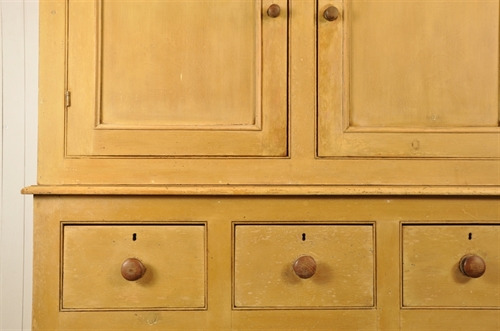 The original paint colour is spectacular - there are a few marks here and there but generally in good condition. 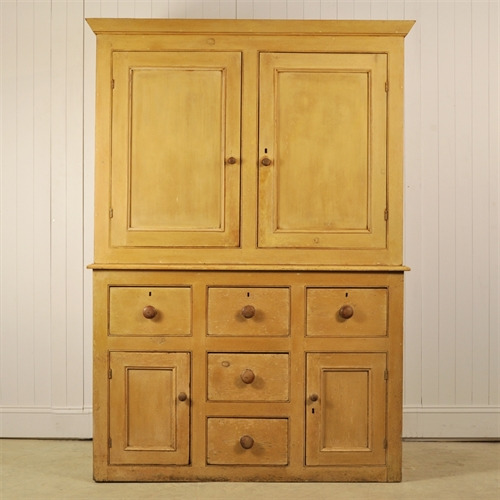 Some old woodworm, mostly on the back, which has been re treated to be on the safe side. 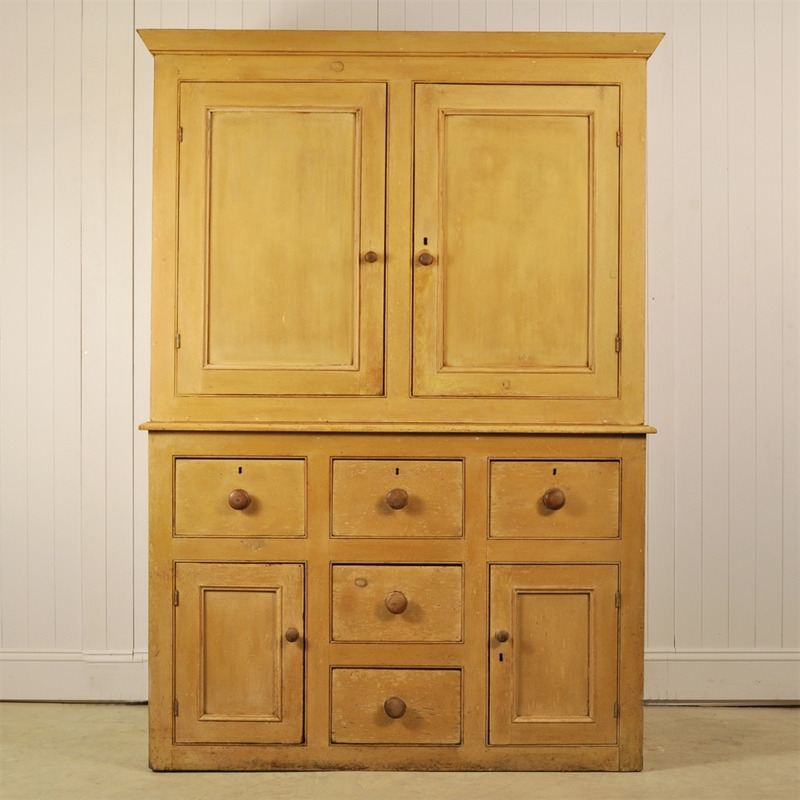 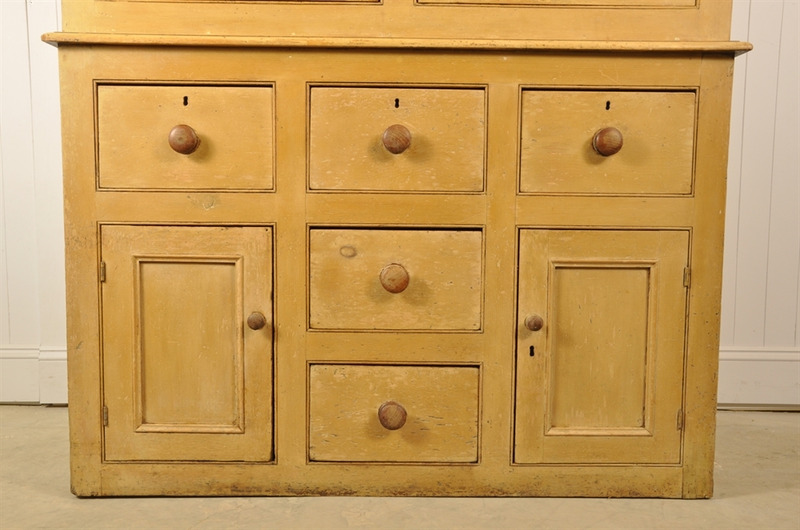 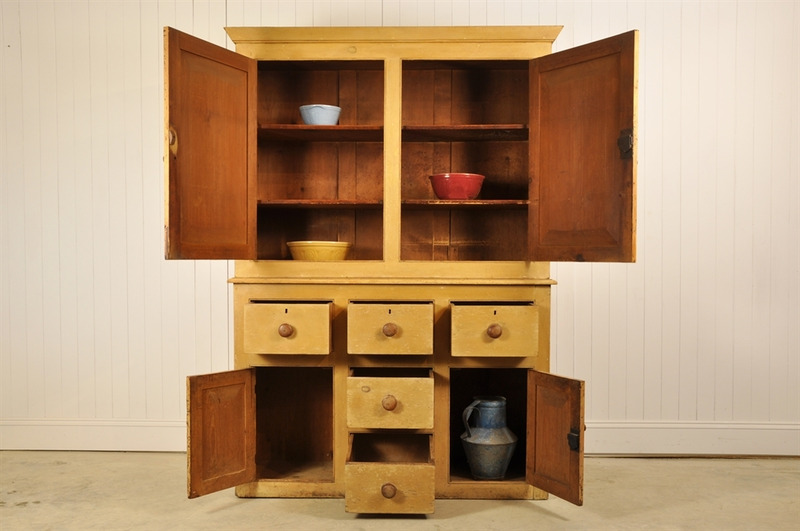 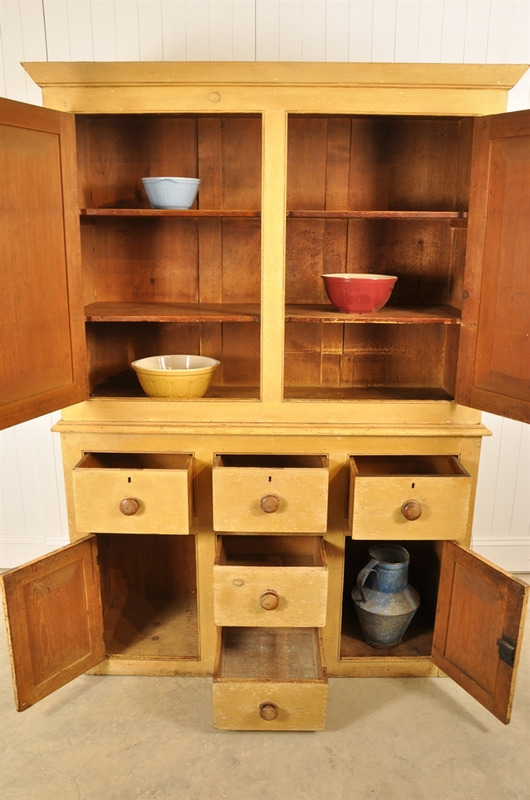 It has an unusual setup of drawers and cupboards - it is a rare piece. 205 cm h x 146 w x 48 d.